The Druid of Fisher Street: Where o' where has pepper gone? Where o' where has pepper gone? This is Pepper. She is the good friend of a member of the pagan community in which I live. Pepper ran out the door last Thursday and hasn't been back. I heard about it just this morning (Monday) and I decided I'd try something I have often read about shamans doing, that being, finding lost things. I made the hard choice to do the work inside the house. I much prefer to do my work under the sky, but I wanted also to be sure that I was NOT going to be interrupted. Knowing that my neighbor isn't working right now and puts around his house, I wanted to be sure that I would not be interrupted. I called to the elementals spirits and to my personal animal spirit guides for their aid. I asked the elements to show me where pepper was, and to keep pepper safe, warm, and free from hunger and thirst. I asked spirit of fox to go and find pepper and guide her home. In my spirit-walk, I saw a an older white house with a chain link fence around the front yard. I got the impression the street started with an "E" and had a double letter in it. I then took that info, and combined it with the info that the dog was last seen in the N.E. section of town, and possibly near the college. I looked on map quest and what do I find but a street that is in the NE section of town not to distant from the college campus. I have relaid this info to the dog's person. Will it help? I don't know. I have never done anything like this before with my skils..I have come to trust the things I see in spirit-walks, and the things I saw this time didn't feel like MY imagination. In the end, time will tell for all answers are told in time. 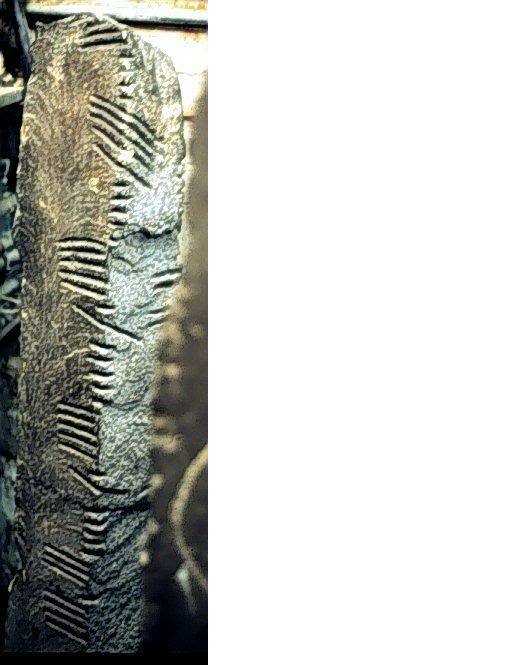 I have been trying to learn the Ogham Fews these past months and really struggling. I am not sure why. I suspect its because I am also in college now and cramming my head each day full of information, so this may be interfering with the learning process of the Ogham. Is there a limit to how much a 35 year old man can learn in a day? I tend to think not, but the headaches are telling me otherwise. ;-) Anyway, I got the thought that I need to also recognize their animal meanings and that I should call them not by the welsh names but by the English. That thought led to the realization that by using an ogham few in magic your are invoking/evoking (depending on it's use) the spirit of that tree/plant/mineral. It may seem like a no brainer to some, but for me it was the light bulb switching on! Suddenly the Ogham fews have come alive! Who I am, what this is all about.